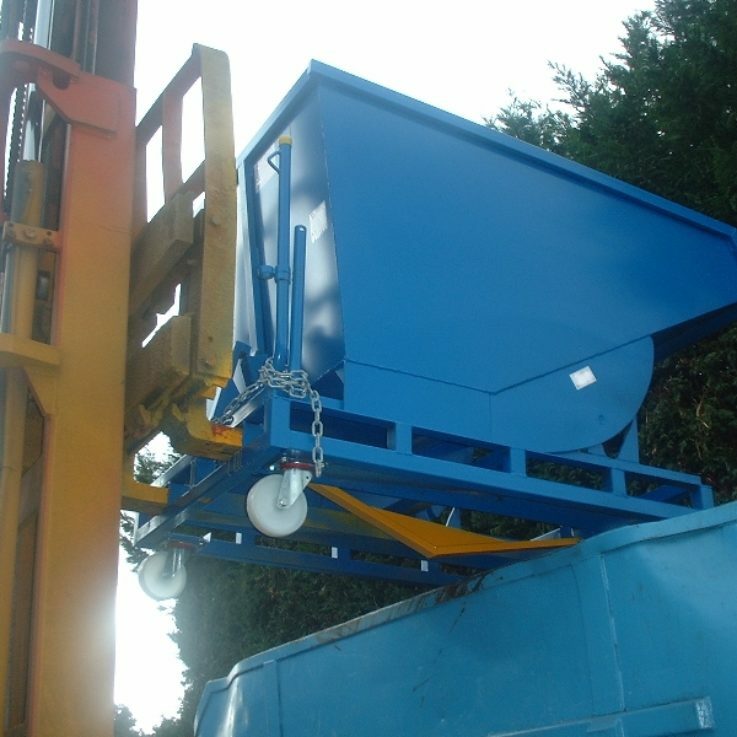 The generation of dense waste products, is better handled using a tipper hopper (or Tipping Skip). Using a Tipper Hopper and a Forklift Truck not only increases efficiency but also safety. As a result, we supply them with our Banding Choppers when chopping Steel Wire, Steel Banding or Steel Bar. Are there different sizes of Hoppers? Different waste volumes are produced, as a consequence, the sizes range from 0.25m3 to 1.0m3. They are transported using a Forklift Truck and unload automatically whch couples efficiency and more importantly, safety.